How to play Toto Lotto? Grab your chance to win the TOTO Jackpot !! Grab your chance to win the POWERBALL Jackpot! Buy your ticket online. We recommend thelotter.com. Looking for the best online brokerage accounts for trading stocks, ETFs, mutual funds, and other investment vehicles? Different online brokerages vary widely in terms of the fees associated with each account, so we scoured the internet to find the best online brokers by category, whether you’re looking for a deep discount broker	(Ex. fxcm_logo	), commission free ETF trading, or the best customer service. Based upon average ratings from individual forex traders collected world wide from numerous websites throughout the Internet we have a collection of top 100 online brokerages, that includes	Fxcm_logo, Forex4you, EToro, Rinkost, RoboForex, ForexUkraine, FXInvest, CMCMarkets, Exness, Mayzus, AGEA, TFIFX,	and more. The Loto operator in Singapore, held Loto draw 3458 on Monday, 18th March 2019 in Singapore. The Loto draw was transmitted live on TV under the supervision of a government representative. Singaporen Loto Draw Number 3458, was held on 2019-03-18, with following Loto results:	02,05,08,,,, with Complimetary ball number: 25. Each Winners' Lotto Result Prize: 0 $. Each Winners' Prize: $48,996 $. Each Winners' Lotto Result Prize: $1,702 $. Each Winners' Lotto Result Prize: $321 $. Each Winners' Lotto Result Prize: $50 $. Each Winners' Lotto Result Prize: $25 $. Each Winners' Lotto Result Prize: $10 $. - Next Loto Singaporen Draw jackpot is around , and will be help on 2019-03-21 13:30:00. - Loto Singaporen draws number: 02,05,08,17,43,47, with Complimetary ball number: 25. - next Loto Singaporen draw will be help on Thursday, 21st March 2019 at 19:30 Beirut Local time. 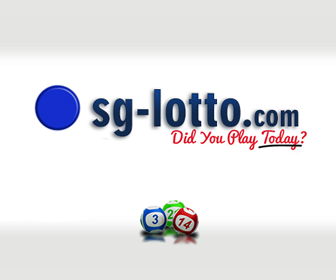 for more Loto Singaporen Statistics, Lottery Results, and Lotto Results, click: Play Singapore Lotto Results. Singapore Pools (Private) Limited is a state-owned lottery subsidiary company in Singapore. As a wholly owned subsidiary of the Tote Board, it is the only operator that is legally allowed to run lotteries in Singapore. In addition, Singapore Pools is the sole legal bookmaker and totalisator for association football and motor racing betting. TOTO , is a legalized form of lottery sold in Singapore, known by different names elsewhere. Singapore Pools is the only legal lottery operator in Singapore. It was established on 23 May 1968 to control widespread illegal gambling in Singapore during the 1960s. TOTO is a popular form of gambling in Singapore. In February 2005, a survey conducted by the Ministry of Community Development, Youth and Sports (MCYS) indicated that 58% of the Singapore residents surveyed had participated in at least one form of gambling activity over the past year. Among those surveyed, TOTO rated the second most popular type of gambling activity, after 4-Digits. The average monthly median betting amount of those surveyed who bought TOTO was placed at S$48. TOTO can be purchased from any of the 300 Singapore Pools outlets across Singapore. Draws are conducted every Monday and Thursday at 1830h or 6:30pm (SG/HK time). The â€œliveâ€‌ TOTO draw can be viewed at the Singapore Pools Main Branch at 210 Middle Road. The profits from TOTO go to the Singapore Totaliser Board (the owner of Singapore Pools) which uses the money for charity and other worthy causes. A buyer picks at least six numbers, each on a basis of 1 to 49. The winning numbers drawn include six numbers plus an additional number. Three or more winning numbers on a ticket matching the seven numbers drawn qualifies the buyer for a cash prize. The prize money escalates with the increase in numbers matched. The maximum allowed matching numbers is six. Thus, if six numbers on the TOTO ticket matches the six numbers drawn, the jackpot (Group 1) prize is won. 4-Digits (abbreviation: 4-D) is a lottery in Singapore and Malaysia. Individuals play by choosing any number from 0000 to 9999. Then, twenty-three winning numbers are drawn each time. If one of the numbers matches the one that the player has bought, a prize is won. A draw is conducted to select these winning numbers. 4-Digits is a fixed-odds game. Magnum 4D is the 1st legalized 4D Operator licensed by the Malaysian Government to operate 4D. Soon thereafter, other lottery operators followed suit, as this is a very popular game in Malaysia and Singapore. Singapore Pools is the sole provider of gambling games in Singapore. 4-D and lottery 6/45 are two of the most popular. A similar 4-D game with its prize structure fully revealed can be found in Taiwan. 4-Digits is somewhat similar to "Pick 4" in the United States and Canada. 3.91.157.213 - 119.93.241.119 | 52.197.247.188 | 185.86.163.158 Sweepstakes are a type of contest where a prize or prizes may be awarded to a winner or winners. Sweepstakes began as a form of lottery that were tied to products sold. In response, the FCC and FTC refined U.S. broadcasting laws (creating the anti-lottery laws). Under these laws sweepstakes became strictly "No Purchase Necessary to Enter or Win", especially since many sweepstakes companies skirted the law by stating only "No Purchase Necessary to Enter", removing the consideration (one of the three legally required elements of gambling) to stop abuse of sweepstakes. Today, sweepstakes in the USA are used as marketing promotions to reward existing consumers, and to draw attention to a product. By definition, the winner is determined by luck rather than skill. To play TOTO, pick at least six numbers between 1 and 49, and place a bet at our outlets or via our Lottery Betting Line if you are a Singapore Pools Account member. The minimum cost is $1, inclusive of GST. Six Winning Numbers and one Additional Number are drawn each draw. If your chosen numbers include at least three of the Winning Numbers, you win a prize. You can place bets for the current draw, or for two or four consecutive draws. TOTO is a legalized form of lottery sold in Singapore, known by different names elsewhere. Singapore Pools is the only legal lottery operator in Singapore. It was established on 23 May 1968 to control widespread illegal gambling in Singapore during the 1960s. TOTO can be purchased from any of the 300 Singapore Pools outlets across Singapore. Draws are conducted every Monday and Thursday at 1830h or 6:30pm (SG/HK time). The “live” TOTO draw can be viewed at the Singapore Pools Main Branch at 210 Middle Road. The profits from TOTO go to the Singapore Totaliser Board (the owner of Singapore Pools) which uses the money for charity and other worthy causes. "DO CHECK YOUR RESULTS FROM ANY AUTHORIZED LOTTO DEALER NEAR YOU 12:47:27pm"02:55:45pm"04:29:26pm"